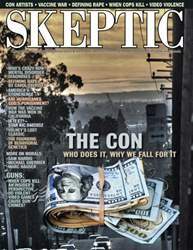 Digital Subscriptions > Skeptic > 21.1 > Alligators in the Sewers! ON FEBRUARY 10, 1935, A REMARKABLE HEADLINE appeared in the New York Times: “Alligator Found in Uptown Sewer.” It was reported that 16 year-old Salvatore Condulucci had been shoveling snow into an open manhole with a group of friends on East 123rd Street, when they peered into the opening and spotted the creature churning in the murky waters. They reportedly grabbed a clothesline, created a noose and lowered it into the hole. After several near misses, Condulucci managed to angle the rope around the gator’s neck and yanked hard, snaring it. The youths pulled the dazed reptile onto the street and clubbed it to death with their shovels. Or so the story goes. The Times reported that the boys brought the gator’s remains to the Lehigh Stove and Repair Shop at 441 East 123rd Street, where it weighed an impressive 125 pounds and measured nearly eight feet in length. As there were no area pet shops, it was hypothesized that the creature may have been a passenger on a steam ship from the Everglades that had fallen overboard. The account states that by 9 o’clock that very night, a Sanitation Department truck pulled up to the store and drove the carcass to Barren Island where it was incinerated.